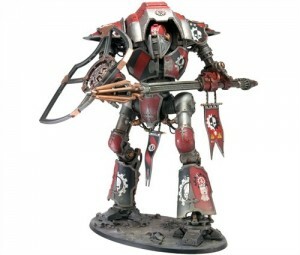 Forge World has started taking orders for their new Cerastus Knight Lancer model over in their webshop. The Cerastus Knight-Lancer is a first strike weapon, attuned to rapid assault tactics and lethal outflanking charges against a foe. It is justly renowned for its speed and its power, as well as for the temperamental and restive nature of the machine-spirits which dwell as anima within its colossal frame. Because of this reputation, the most impetuous and glory-hungry of the Knight Households are driven to bond with these war machines, their own souls a match for the fury caged within their mounts. The greatest of these pairings will go on to create martial legends among their lineage, while for those whose temper cannot fully master that of their Knight-engine or whose own lust for glory might see valour outweigh caution on the battlefield, their triumphs are likely to blaze brightly, if briefly, in the chronicles of their Households.